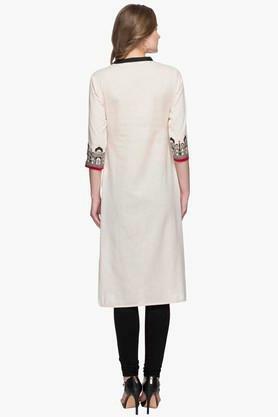 The coveted brand, A Small Shop brings to you this kurta, which will fetch you compliments for your choice. 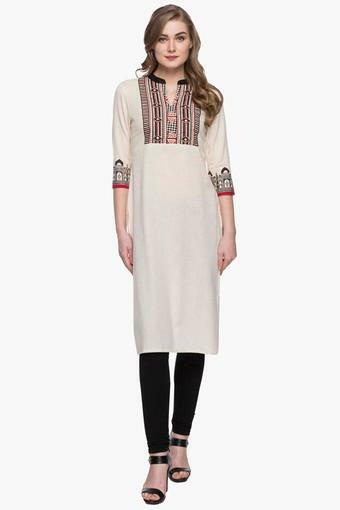 Featuring a mandarin neck, it also comes with a printed pattern that lends it a classy look. Besides, it is quite comfortable to wear, owing to the use of a superior quality fabric. 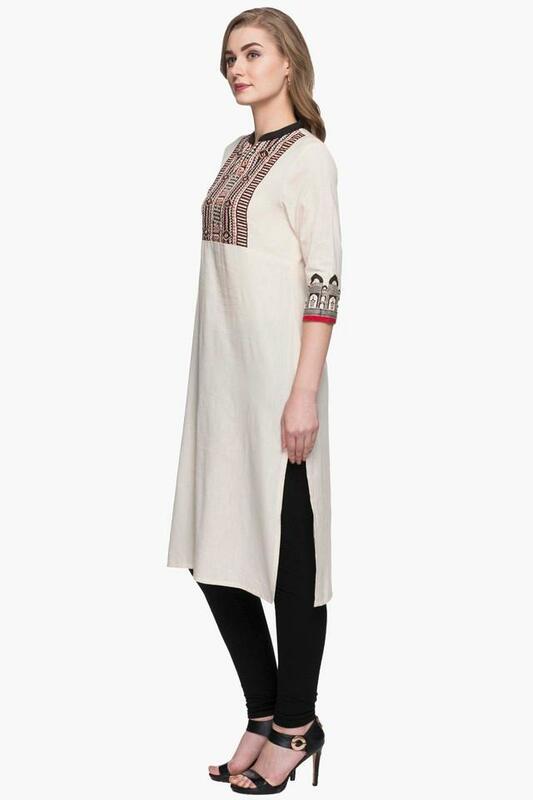 Accentuate your casual look by wearing this kurta, which features an attractive print pattern. Team it with a pair of palazzo pants and wedge sandals to make a fashion statement.